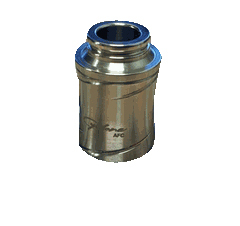 The Cyclone AirFlowControl also known as "The Cyclops" is an accessory to the standard Cyclone. That means you have to have the standard Cyclone RBA base to enjoy the adjustable air flow features. A "must have" for those who have the standard Cyclone by The Vicious Ant.